Never mind the fit of this dead Rorqual. 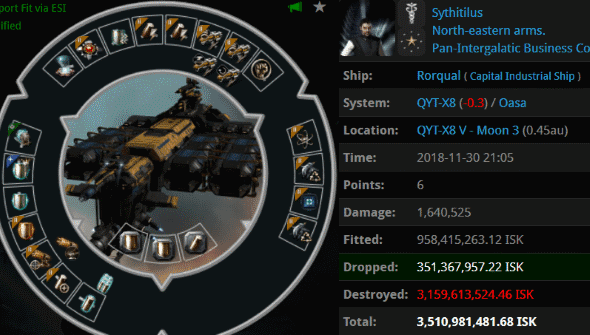 For the unaware, Rorquals are giant mining ships. They cannot enter highsec, or else we would undoubtedly see a lot of them. 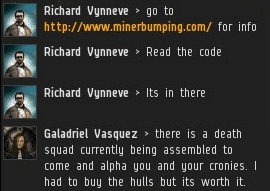 Despite occurring in nullsec, this killmail was earned by a member of the mighty CODE. alliance. That's not unprecedented, since members of CODE. 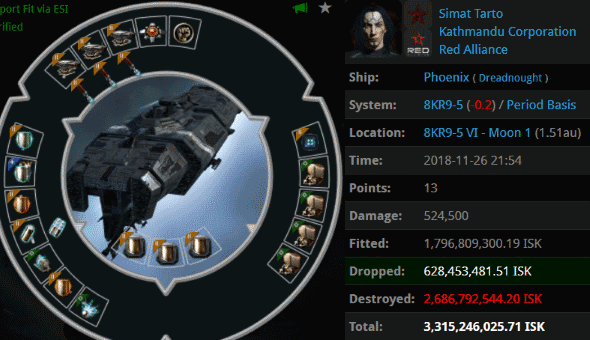 will occasionally join fleets in nullsec and assist on a kill. It's also not unheard of for small CODE. gangs to run training exercises in lowsec. What's unusual about the Rorqual kill is that it was executed by a fleet of CODE. 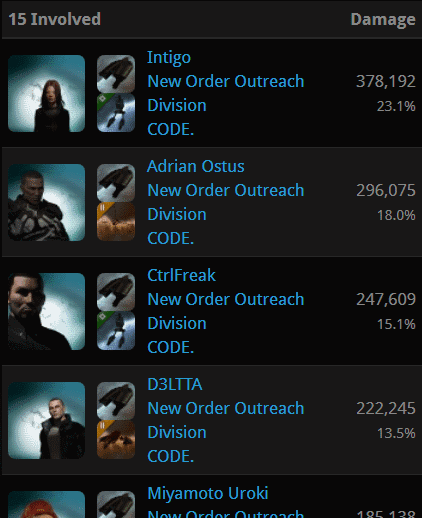 members operating in nullsec--members of the New Order Outreach Division corp.
New Order Outreach Division is the latest corp to join the CODE. alliance. They seemingly came out of nowhere, and little is known about them. But it would appear that they're pretty good at ganking capital ships. NOOD's mission is to spread the joy of the Code to everyone in EVE. Think of them as ambassadors. Normally, a carrier pilot wouldn't get the chance to meet a fleet of CODE. members. Now they can. But this raises some interesting questions. "You don't need to worry about CODE. 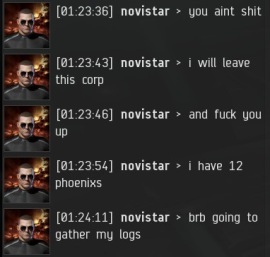 They're too chicken to come out to nullsec." The leader of NOOD is Jacob 315, ostensibly a new player. His origins are as mysterious as those of the NOOD corp itself, but regardless, he is dedicated to upholding the Code. Of course, whenever CODE. 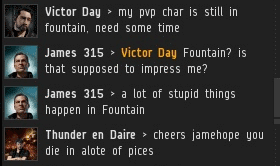 kills someone outside of highsec, we get complaints. The very same people who tell us to "go to lowsec" get agitated whenever one of us actually goes to lowsec and kills them. When word gets out about what NOOD has been up to, we will doubtless see the usual complaints. "You're not following your own Code," etc. Yet the formation of NOOD is an act of self-defense. 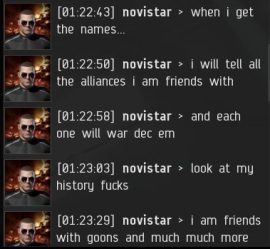 After all, people who supposedly have alts in nullsec have been threatening us with retaliation for years. Granted, none of these inbound nullsec fleets have ever reached highsec, but who knows what might happen in the future? We mustn't forget the recent wardec from The Initiative. If powerful nullsec forces do come our way, the brave men and women of NOOD will be our first line of defense. May the light of the Code shine upon all. Be warned, though: If you disobey the Code, its light may set you on fire. Let's see if the elite null players whine as much as highsec bears. What a spectacular idea. 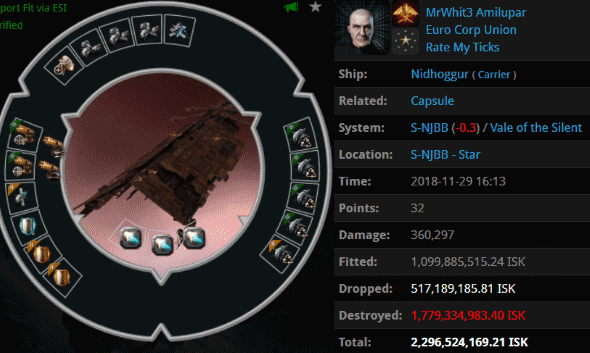 There are loads of carebears in nullsec these days, with the sov meta having shifted to make krabbing a requirement. Most of them band together in social groups, help build caps and supers for their alliances to wage war, and do a pretty good job defending themselves. Other look for a lonely corner to grind away, in solitude, accumulating ISK for its own sake. I predict that NOOD will find no shortage of targets. And they must have pretty deep pockets too, judging by the fleet comp. I already see fuming carebears complaining that New Order agents stepped over the line by enforcing the Code of Hi-sec in Null-sec. Before we bash these bears, let's acknowledge the fact that this really is an interesting philosophical idea. On the one hand side we have the null-sec dwellers -- the innocent, pure creatures living in ignorance of what happens in hi-sec. On the other hand we have the Agents, spreading the word of the Code. If any hi-sec dweller is caught not following the Code, (s)he is punished. Naturally, null-sec entities, which exist outside of the jurisdiction of the New Order, are not being punished for the same crimes. Now, and ignorant carebear might say: Hold on a second. Null players enjoyed their game without being punished so far. However, Agents spreading the Code into Null-sec make them follow rules -- which if not followed incur punishment. 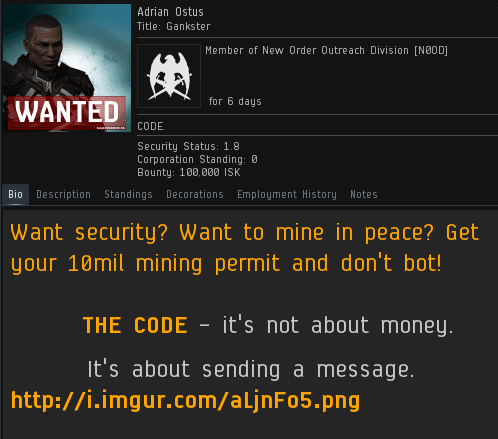 Would it not be better to simply leave the null-sec players to their lives before they met the Code? Why subject them to the possibility of punishment where there was none so far? To that question there are two answers. 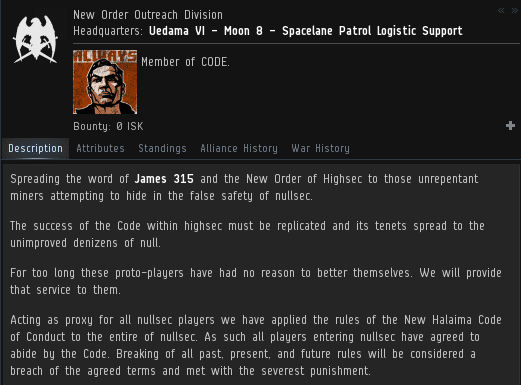 First of all, any decent null-sec players will have no problems with following the Code -- so no-one will be punished who does not deserve it. But secondly, and more importantly, how could we leave all the null-sec dwellers live without ever basking in the light of our Saviour? Is it not merciful to subject them to the same strict rules Hi-sec has to follow, even in the eye of severe punishment, just so that they can enjoy the Code as well? How could we withhold the joy of the New Order from such a large player base. Pickings must be getting slim for Jamey and his CHODE. slaves in hi-sec. After all it's easy-peasy to avoid them, they truly are irrelevant to the vast majority of hi-sec denizens. A desperate move by Jamey and his CHODE. 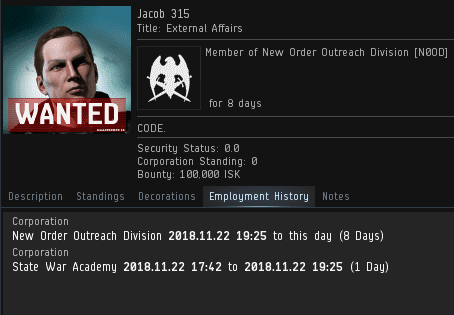 slaves, opening up operations in null-sec.